Imagine that after giving birth, you are allowed simply to rest and cuddle your newborn for a month or longer. Loved ones do the cooking and cleaning and help you bathe and care for your infant. Hot teas accompany steaming baths—both filled with healing herbs meant to soothe and rejuvenate. Kind and knowledgeable women share their motherly wisdom and are on hand to help with breastfeeding and any new baby “hiccups.” You, the new mother, are treated with tenderness and respect. Your space is kept still and peaceful. After a few weeks, you are ready to share your little one with the world and to emerge from the secure confines of your home with confidence and strength. In her book The First Forty Days: The Essential Art of Nourishing the New Mother by Heng Ou, Ou tells of her experience with zuo yuezi, the Chinese tradition of honoring and caring for the mother in the month after giving birth.1 This practice has been honored in Chinese homes for over four thousand years and is still alive and well today. Comparable traditions and rituals are found across the world, from Malaysia to India to Latin America. In this time period, family members, friends, doulas and midwives are tasked with bathing mother and baby (often with herbs instead of harsh soaps); massaging them with special oils and infusions; and cooking and serving special foods. While these foods vary by region and culture, they share certain things in common: they are warming, healing, full of vitamins and minerals and easy to digest. Many are specifically selected for their nutrient content and their ability to heal organs and boost lactation. In contrast, in what we might term “modern” times, many women in the Westernized world are given the impression that giving birth is something that one should immediately “bounce back” from, physically and otherwise. Employers are sometimes reluctant to give paid maternity leave, or the mother may simply be unable to take off much time from work. Extended family members may not live nearby or may not be in a position to help. Even spouses and otherwise loving partners sometimes do not understand the significant physical and emotional shifts that the new mother has just undergone by bringing forth new life. As a result, mothers may feel overwhelmed and distraught. While their baby is rightfully being showered with attention, the mother is left to deal with all the lifestyle changes—and lack of sleep—that motherhood inevitably brings. Exhaustion in the first few weeks is commonplace and even expected. Sadly, if no one is looking after the new mother, adequate rest and nutrition can fall by the wayside in what could otherwise be a magical time of mother-baby bonding. What are the consequences of neglecting the mother in this delicate time period? Some cultures believe that neglect during the immediate postpartum period can have detrimental effects lasting into the woman’s menopausal years and beyond. Whether or not that is the case, it is clear that postpartum health is an often-overlooked aspect of women’s health in the United States and other countries. It is worth noting that with the hormonal fluctuations and reconfigurations of familial dynamics that result after the birth of a new baby, some emotional changes are to be expected. Mood swings and moments of sadness may be quite normal, especially if the birth was a traumatic one. Some women, however, experience longer lasting issues such as severe depression and anxiety, extreme fatigue, difficulty remembering and more. The National Institute of Mental Health (NIMH) estimates that postpartum depression affects 15 percent of women after childbirth.2 Many scientists (and savvy Weston A. Price Foundation members) believe that the severe nutritional deficiencies that are commonplace among women today are one root cause of postpartum depression. It is no secret that raising a child requires a massive amount of “building block material,” which is why traditional cultures practiced child spacing of at least three years between each child. This practice allows women to rebuild their nutritional stores. The average American woman, however, is often nutritionally depleted before conception even takes place, and her diet during pregnancy may be full of sugar and processed foods. In these cases, the body will rob the mother of nutrients to nourish the growing fetus, taking calcium from the bones and teeth, and reducing the stores of critical omega-3 fatty acids needed by the mother for emotional balance. Nutrients that may be depleted include iron, folate, calcium, potassium, vitamin D, vitamin A and carotenoids, magnesium, iodine, omega-3, phosphorus, zinc, DHA and other essential fatty acids, B12 and selenium.3 Scarily enough, this can cause permanent changes to the mother’s brain and body. The new mother may have trouble remembering or learning new things, or may suffer from anxiety and depression. Decreased vitamin A stores can result in noticeable changes in vision. Before-and-after pictures sometimes show such changes as thinned lips and a curved spine. Many women falsely believe that taking a prenatal pill before, during and after pregnancy will be enough to cover any deficiencies. So why not just take a pill? While some high-quality supplements can certainly be helpful, they are not close to being a panacea. Synthetic tablets do not contain the hundreds of isomers and related molecules that exist in nature so the body does not recognize and absorb them as easily. Moreover, the synthesis of these molecules in a lab creates unnatural byproducts that may in fact be harmful. A study that looked at prenatal vitamin use in American women found that the women still developed deficits of niacin, thiamin and vitamins A, B6 and B12 that lasted into the third trimester (and presumably beyond).4 Prenatal vitamins also do not adequately address pregnant women’s needs for vitamin D, long-chain essential fatty acids or choline. Choline is not part of any prenatal vitamin commonly found in the United States. In short, while certain high-quality prenatal formulations can be helpful, the answer, first and foremost, has to be on our dinner plate. Sally Fallon Morrell’s Nourishing Traditions5 and Nourishing Broth: An Old-Fashioned Remedy for the Modern World8 contain many delicious recipes, as does the westonaprice.org website. Meals can be made beforehand and frozen before the baby’s due date, or you may request that your family set up a “meal train” for yourself or someone else who is expecting. Don’t forget to ask for help in other ways as well: arranging for house-cleaning, laundry, grocery store errands or a warm rub with essential oils or herbal infusions can all go a long way to restore a new mother’s zen. Chapter Seven of The Nourishing Traditions Book of Baby & Childcare6 contains many pages of advice for breastfeeding mothers. Breastfeeding mothers require more calories than the average woman and should take care to eat plenty of warming, nourishing foods. They should also drink generous amounts of fresh, clean water (or herbal teas). The book recommends raw milk, bone broths, soaked oatmeal and lacto-fermented beverages such as kombucha for boosting breastmilk supply. Interestingly, these were all foods that my body naturally craved in the first couple of months of the postpartum period, when I felt like I was nursing around the clock. I remember when the lady who brings my raw milk stopped by. I couldn’t seem to get enough of the rich cream, and I was so grateful to have it delivered. She mentioned that her mother always told her that “Milk makes milk!” This is the sort of traditional wisdom that would benefit so many who have sadly been brainwashed by the “Diet Dictocrats” and suffer needlessly for it. There are now home testing kits for comprehensive thyroid testing. In addition, home test kits can test for key nutrients before conception or after giving birth, including omega-3 fatty acids, B vitamins (including folic acid) and vitamin D. Some companies also offer a breastmilk test that shows how much DHA is in your breastmilk. Although it may take some planning and foresight in our fast-paced society—and some explanatory discussions with family members and friends—bringing back the lost art of nurturing and nourishing the new mother will likely do wonders not only for her but for the whole family, with dividends that pay off for decades and generations to come. 1. Ou H. The First Forty Days: The Essential Art of Nourishing the New Mother. New York, NY: Harry N. Abrams; 2016. 2. Pearlstein T, Howard M, Salisbury A, Zlotnick C. Postpartum depression. Am J Obstet Gynecol 2009;200(4):357-364. 3. 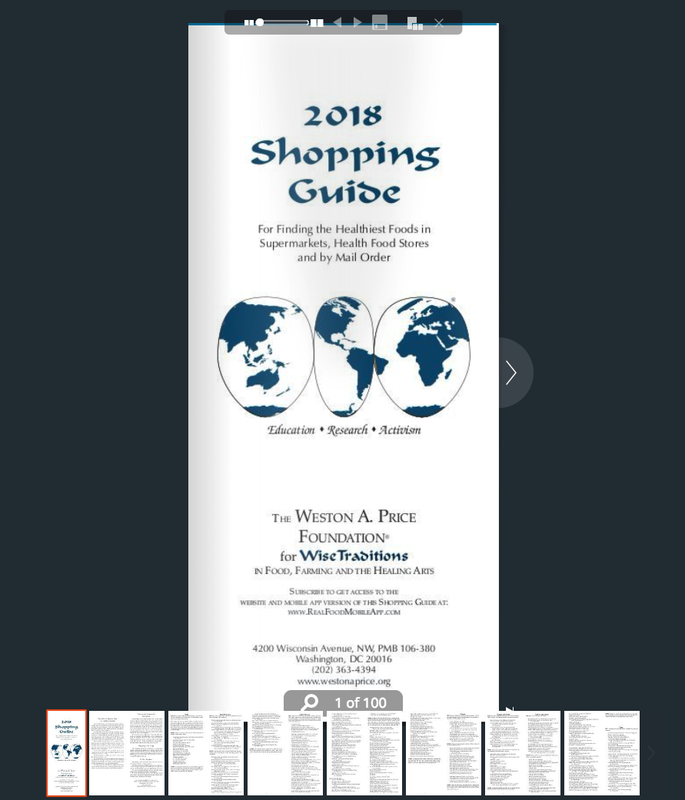 “Vitamins for fetal develoopment: conception to birth.” [https://www.westonaprice.org/health-topics/childrens-health/vitamins-for-fetal-development-conception-to-birth/]. 4. Baker H, DeAngelis B, Holland B, Gittens-Williams L, Barrett Jr. T. Vitamin profile of 563 gravidas during trimesters of pregnancy. J Am Coll Nutr 2002;21(1):33-37. 5. Fallon S, Enig MG. Nourishing Traditions: The Cookbook that Challenges Politically Correct Nutrition and the Diet Dictocrats (2nd revised edition). Brandywine, MD: New Trends Publishing; 2001. 6. Fallon Morell S, Cowan TS. The Nourishing Traditions Book of Baby & Child Care. Brandywine, MD: New Trends Publishing; 2013. 7. “Diet for Pregnant and Nursing Mothers.” https://www.westonaprice.org/health-topics/diet-for-pregnant-and-nursing-mothers/. 8. Fallon Morell S, Daniel KT. Nourishing Broth: An Old-Fashioned Remedy for the Modern World. Grand Central Life & Style; 2014. 9. Brogan K. “Thyroid dysfunction and treatment.” https://kellybroganmd.com/thyroid-dysfunction-and-treatment/. Sarah Ruiz, a Weston A. Price Foundation chapter leader from North Carolina and a certified integrative nutrition health coach, shared this recipe for a postpartum recovery soup on westonaprice.org (see the full post at westonaprice.org/postpartum-recovery-soup/). The soup features pig’s feet, Chinese black vinegar, coconut sugar and fresh ginger. If pig’s feet are hard to find in your area, a simple chicken noodle soup or beef bone broth will support postpartum recovery just as well. 1. Get your butcher to cut the pig trotters into one-inch pieces (optional, but extracts the minerals better). 2. Cover the trotters with filtered water in a large pot, cover with a lid and bring to a boil for ten minutes. 3. Drain the water and rinse with cold filtered water. 4. Fill the pot containing the trotters halfway full with filtered water. Add the black vinegar, coconut sugar, coconut aminos and ginger. If the trotters are not covered, add more water until they are covered. 5. Cover with a lid and bring to a boil. Once it reaches a boil, simmer for 45 minutes. 6. Toward the end of the simmering time, boil eggs to have ready for the soup. 7. Add boiled pastured eggs to a bowl and cover with soup. You can add organic zoodles (spiralized organic zucchini), brown rice noodles or soaked/cooked brown rice to the bowl to make this a more complete meal, but it is completely optional. Be sure to drink this daily for the first six weeks postpartum. Enjoy! Jennifer Grafiada is a nutritional therapy practitioner and Weston A. Price Foundation chapter leader based in southern Oregon. Contact Jennifer at jennifer@jennifergrafiada.com for a discount code for Everlywell.com home testing, or visit the resources at ThrivingAfterBaby.com. I like this article, but keep in mind that the father needs to eat a healthy diet too to produce healthy seeds. People seem to forget this, the healthier the seed the higher the odds of having a healthy baby.